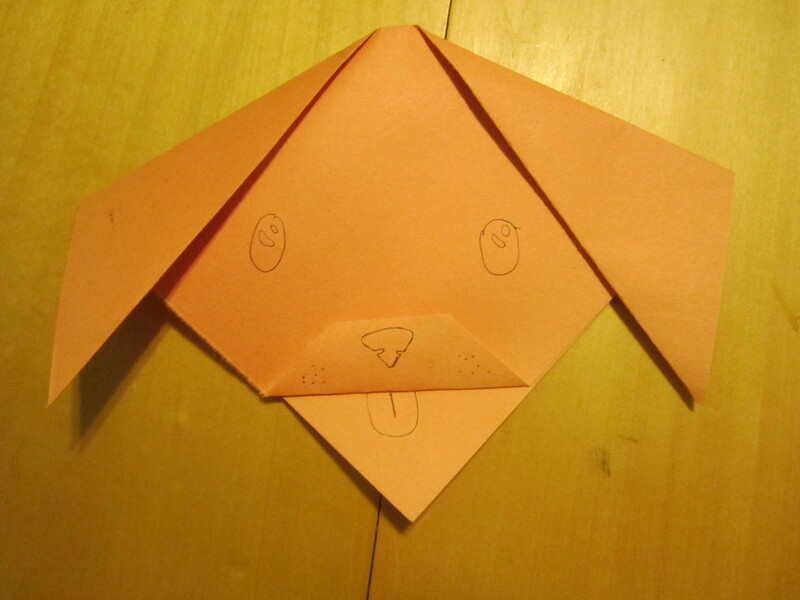 This is a great origami activity for kids (and adults, too!) to do during the festive season. 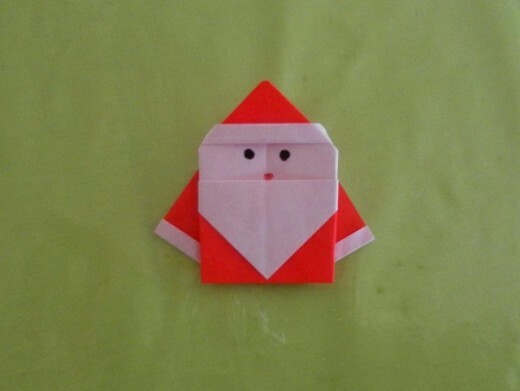 You can use origami paper or red wrapping paper to make the origami santa. 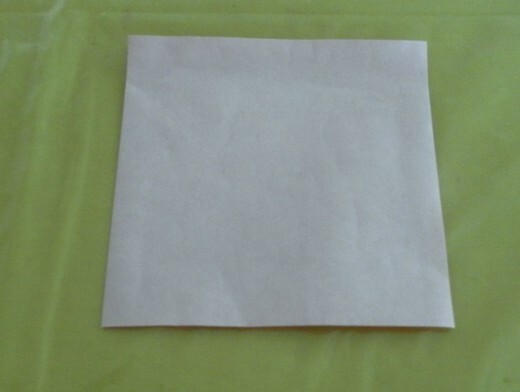 Origami craft papers are available in craft stores or Japanese products stores. They are also available online, check them out at Amazon.com or eBay. 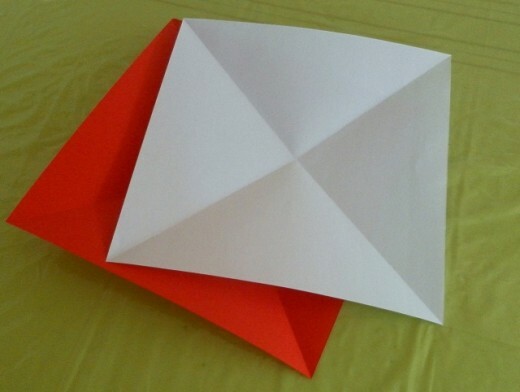 For this origami craft activity, one side of the paper needs to be red colour and the other side is plain white. 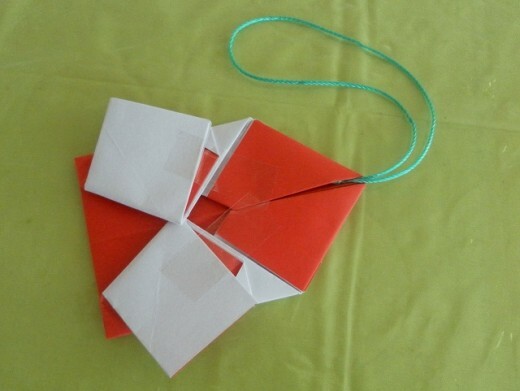 The origami instructions below can be used to make different sizes of origami design embellishments and ornaments. 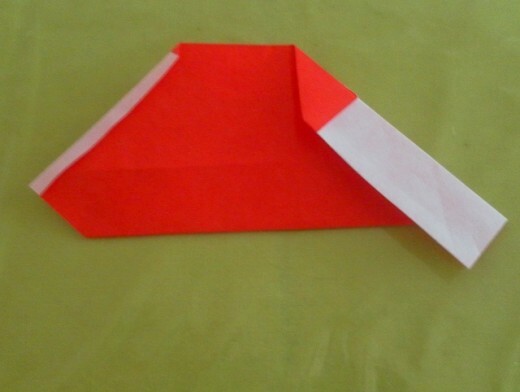 The size of the paper for making a small santa claus embellishment is 7.5cm by 7.5cm (or a quarter of a standard size origami paper). 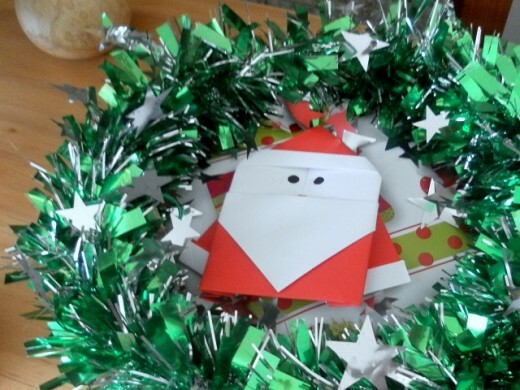 The small santa can be used on a gift tag, gift wrapping or handmade Christmas card. 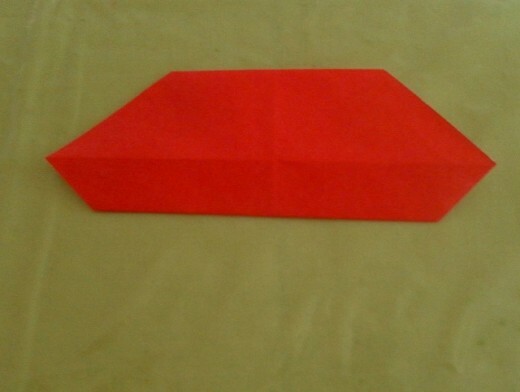 To make an origami santa claus ornament for the Christmas tree, two sheets of A4 size paper is required and they need to be cut into squares of 21cm by 21cm. 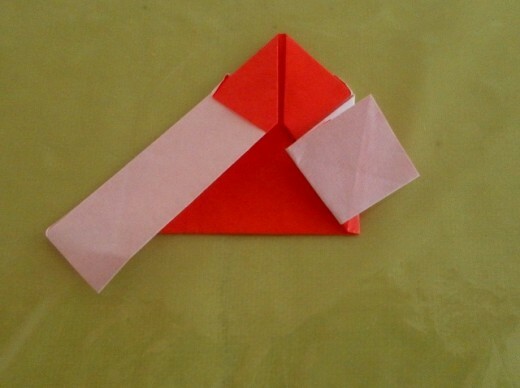 Just follow the step-by-step instructions below on how to fold the origami santa. 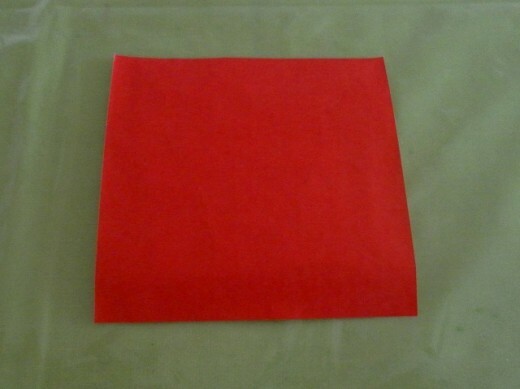 You will need one sheet of red origami paper. 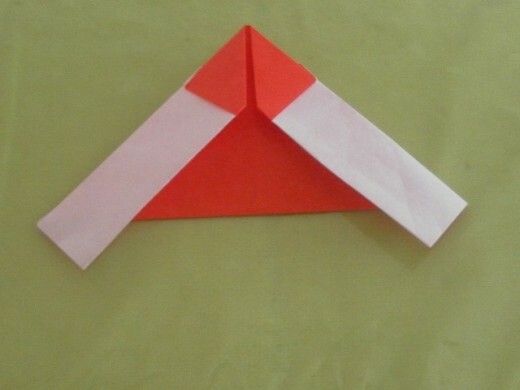 Turn the origami paper over. 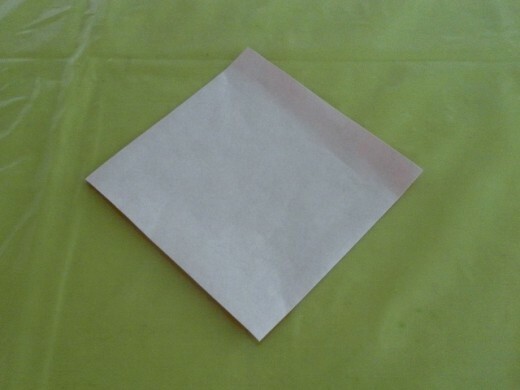 The other side of the paper should be white colour. 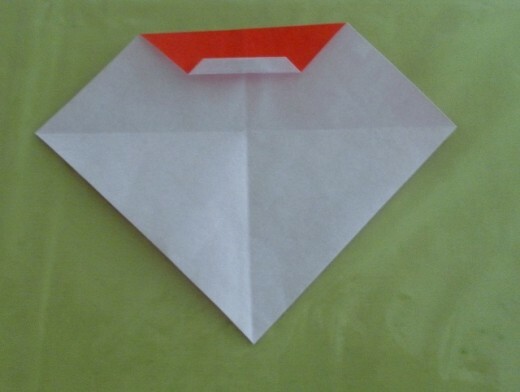 Position the origami paper this way with the white side facing up. 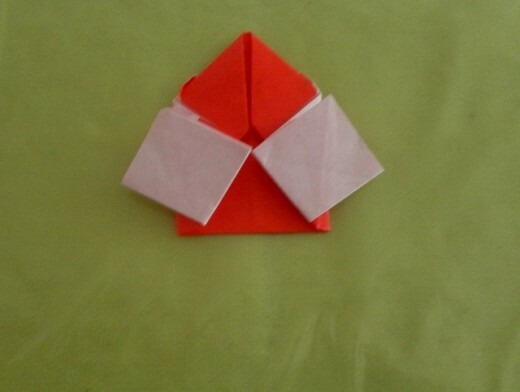 Fold the paper in half from bottom to top. 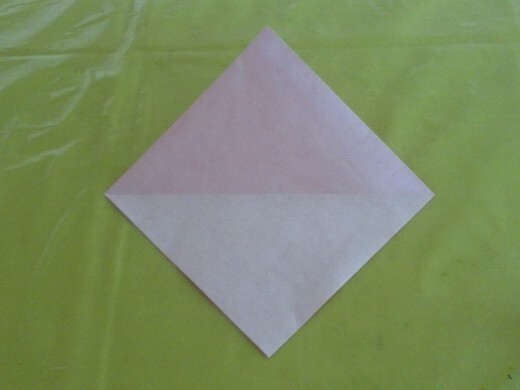 Unfold the paper and you will see a horizontal crease line. Now you should have a vertical crease line and a horizontal crease line intersecting each other. Does you believe in Santa Claus? 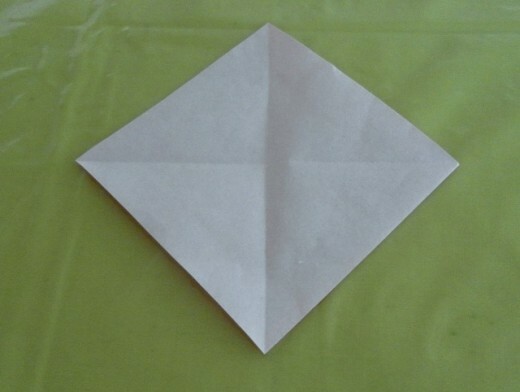 Fold the top corner of the paper toward the centre of the paper where the crease lines meet. 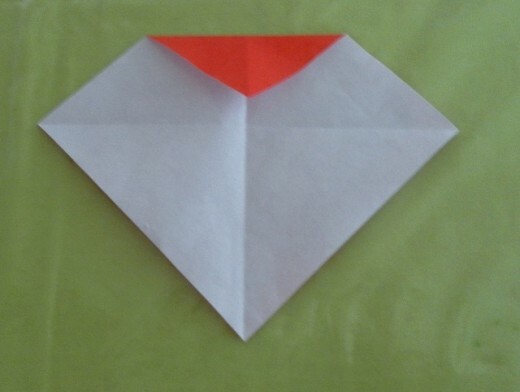 Fold the top flap in half to meet the top edge of the paper. Unfold the paper. There is now a crease line on the top red flap. 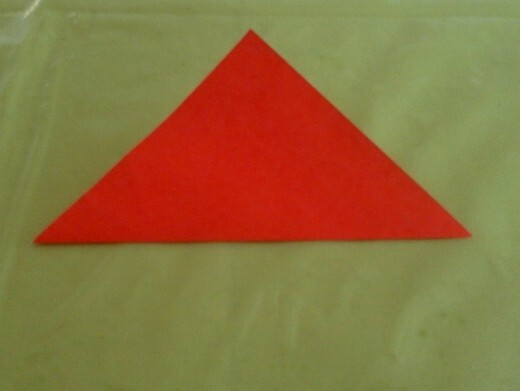 Fold the corner so that it touches the red crease line. 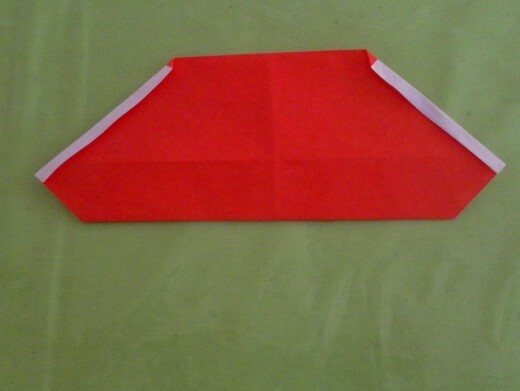 Fold upwards the folded edge so that the edge meets the red crease line. 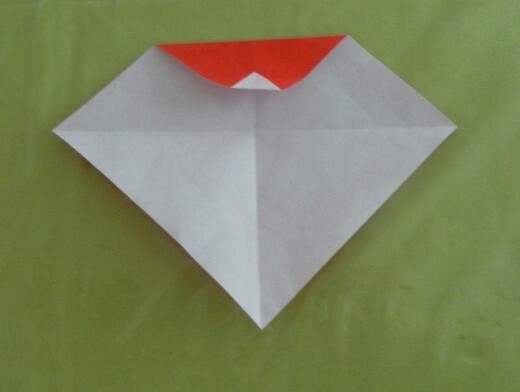 Fold upwards along the crease line. 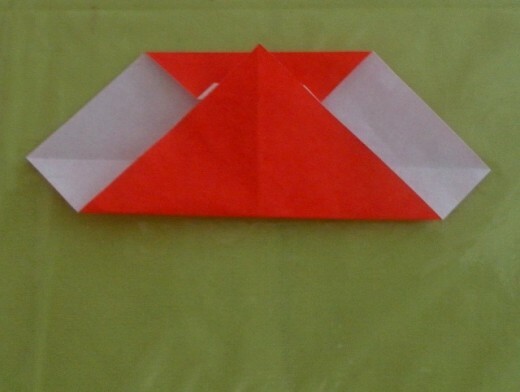 Now bring the bottom flap of the paper up to the top edge and press down on the bottom edge to make a fold. Fold down the flap and align the corner to the bottom folded edge. 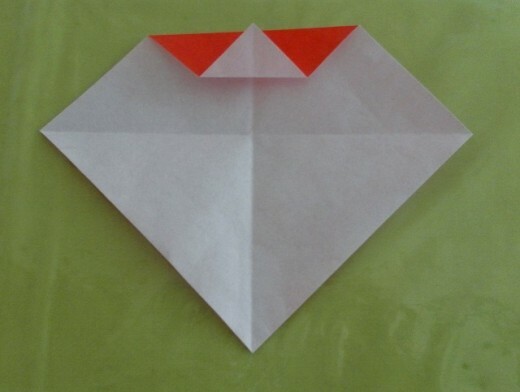 Make a small fold of about 2-3mm along the left and right edges of the paper. 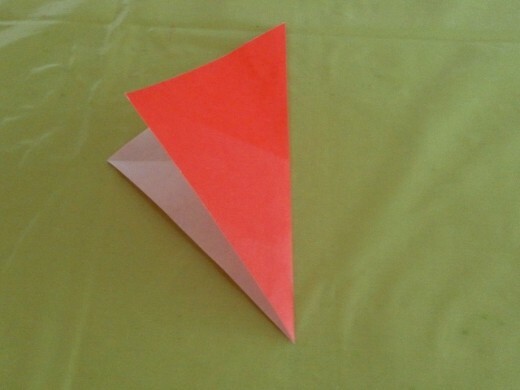 Fold the right edge down as shown. Do the same for the left side. Press the paper down and the top of both sides should meet along the vertical crease line in the centre. 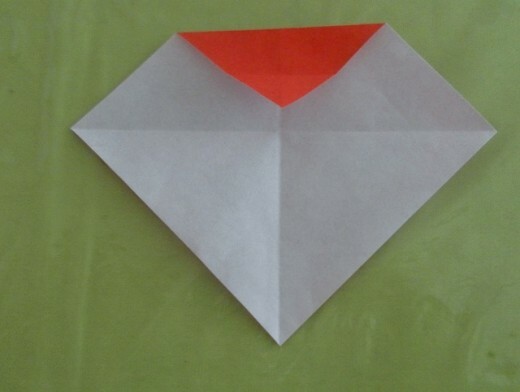 Fold the right side of the paper with about two-thirds of it to the left. Fold the bottom flap about halfway up. The finished work should look something like this. 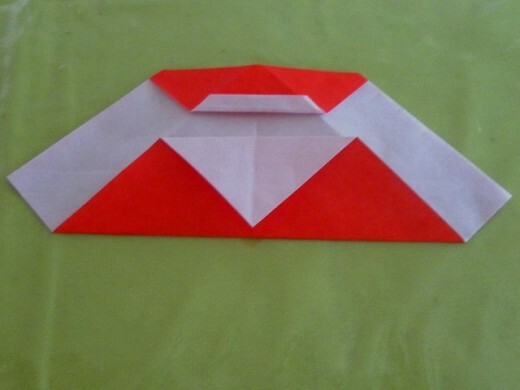 Turn the folded paper over and you see a faceless santa looking at you! Use a black marker to draw the eyes and a red marker for the mouth. 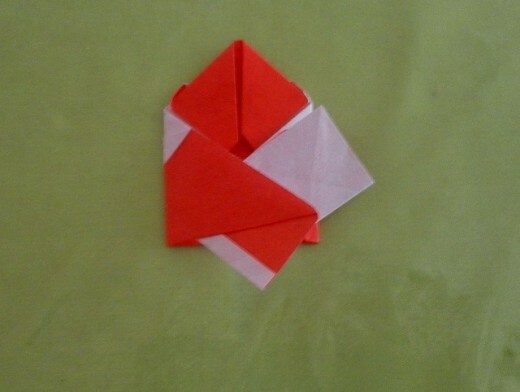 There's your little origami santa. Isn't he cute? 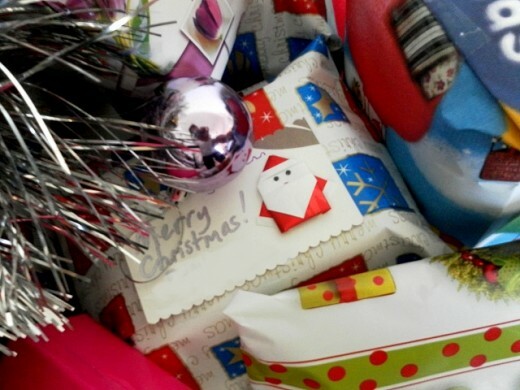 You can use the origami santa on handmade gift tags or as embellishments on gift wrappings. Santa origami on a gift tag. 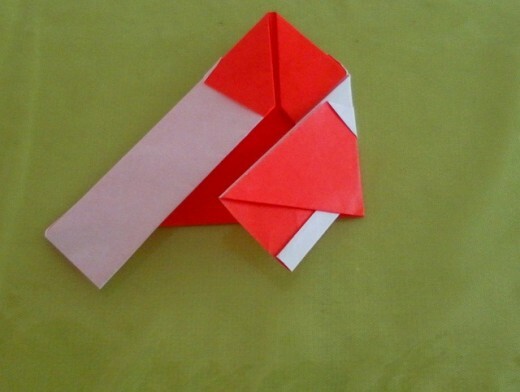 To make the origami Santa Christmas ornament, use two sheets of A4 paper - a red paper and a white paper. Trim the sheets of paper to squares and lay one sheet on top of the other. 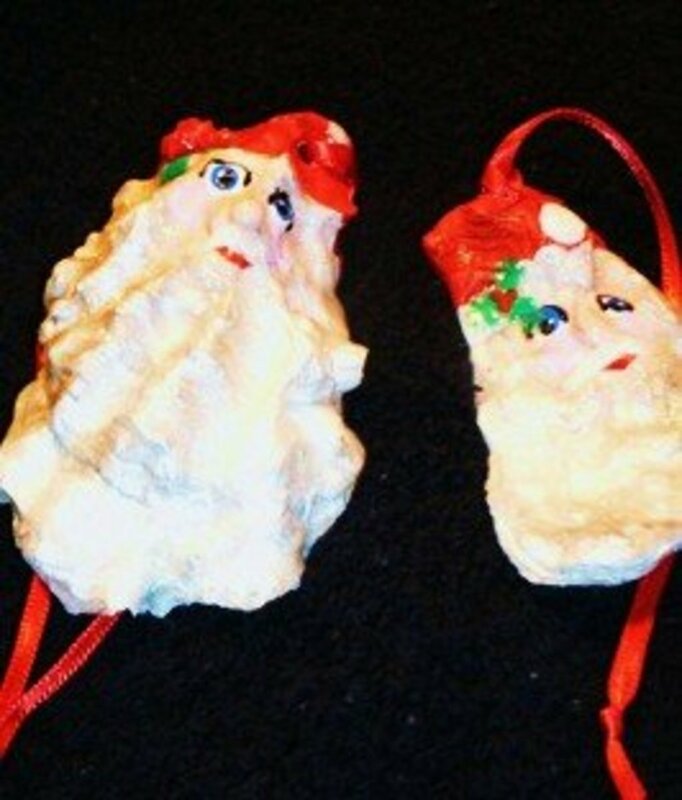 Make the Santa Christmas ornament with the origami instructions above. To finish making the ornament, use sticky tape to hold down the paper on the back so that the ornament stays in place. 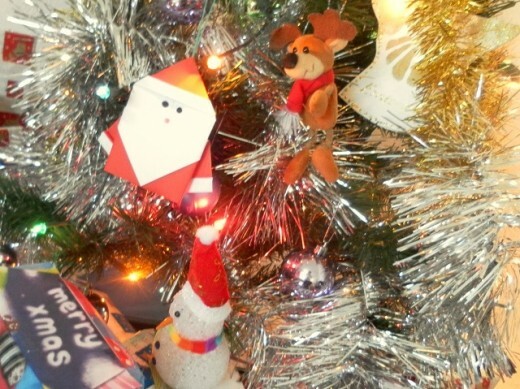 Attach a piece of string at the top of the ornament for hanging on the Christmas tree. 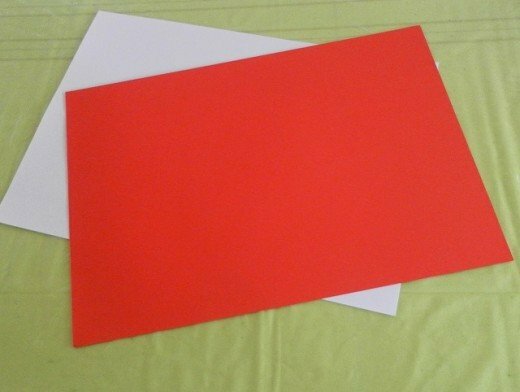 To make a Santa ornament for the Christmas tree, use 2 sheets of A4 paper, one red and one white. 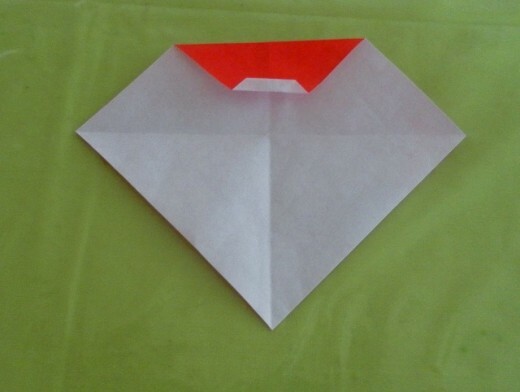 Cut the papers to squares, align the two sheets together and follow the folding instructions outlined above. Use sticky tape to hold the paper down. Attach a string to the origami ornament for hanging. Things to Make for Christmas! Spritz cookies are quick and easy to make. You can make a hundred (or more) of these delicious cookies in an hour of baking, and they make great gifts for family and friends during Christmas and festive seasons. Got too much time on your hands? 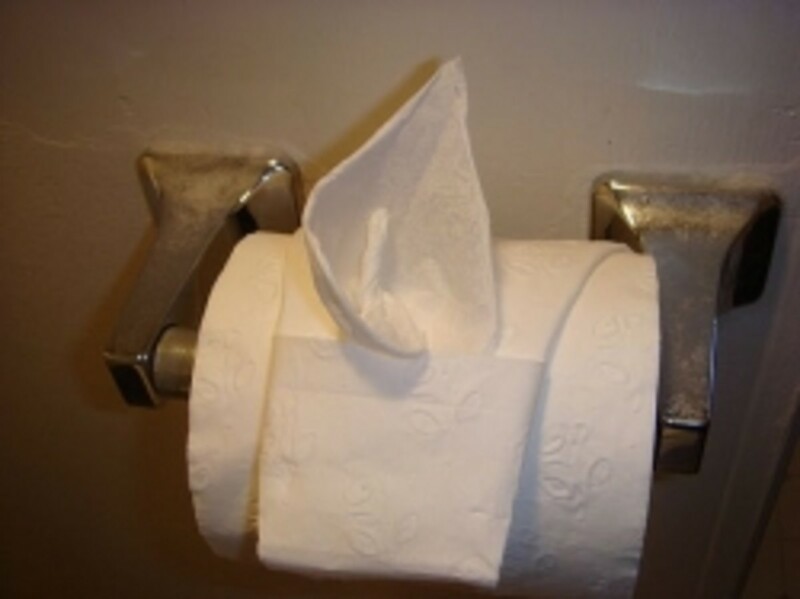 Try these toilet origami! Thank you Rebecca. Wishing you a great festive season! I've always been fascinated with this art form. It's good to have such good clear instructions. Thanks! Pinned to my Holiday Craft board! Your Santa is too adorable! What a versatile little decoration. Thanks for the detailed tutorial. 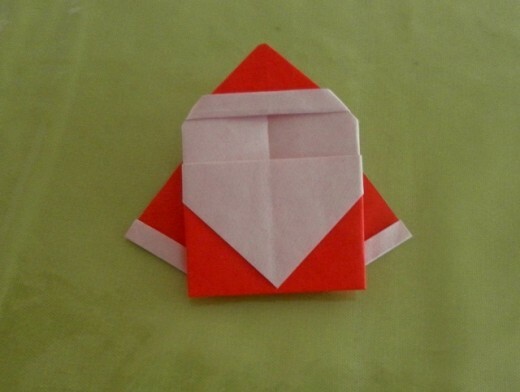 WiccanSage, I hope you and your little boy will have lots of fun making the origami santa. Thank you for stopping by. ChitrangadaSharan, thank you for leaving a comment here. Much appreciated! 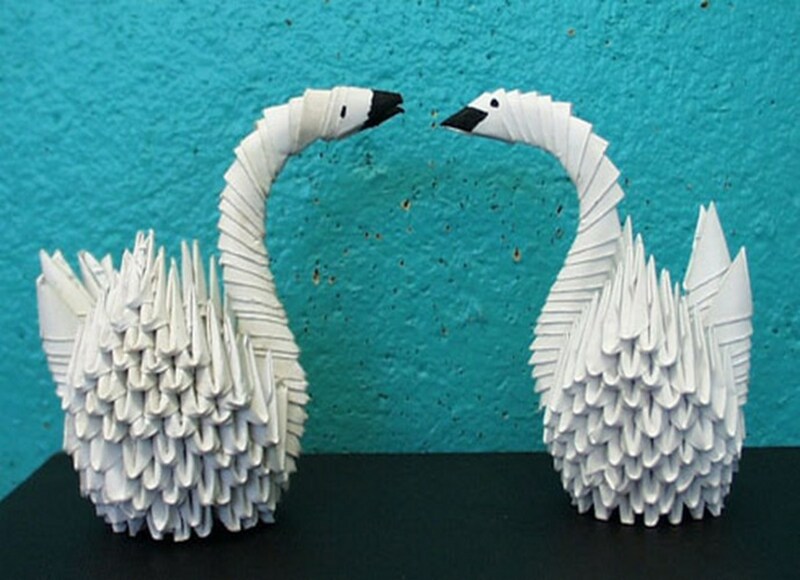 OMG that's so cute, I think even I can do that though I've tried some origami projects that have driven me nuts. My little boy would probably get a real kick out of those. Great hub! This is so cute and simple and you have done a wonderful job by providing the helpful pictures. 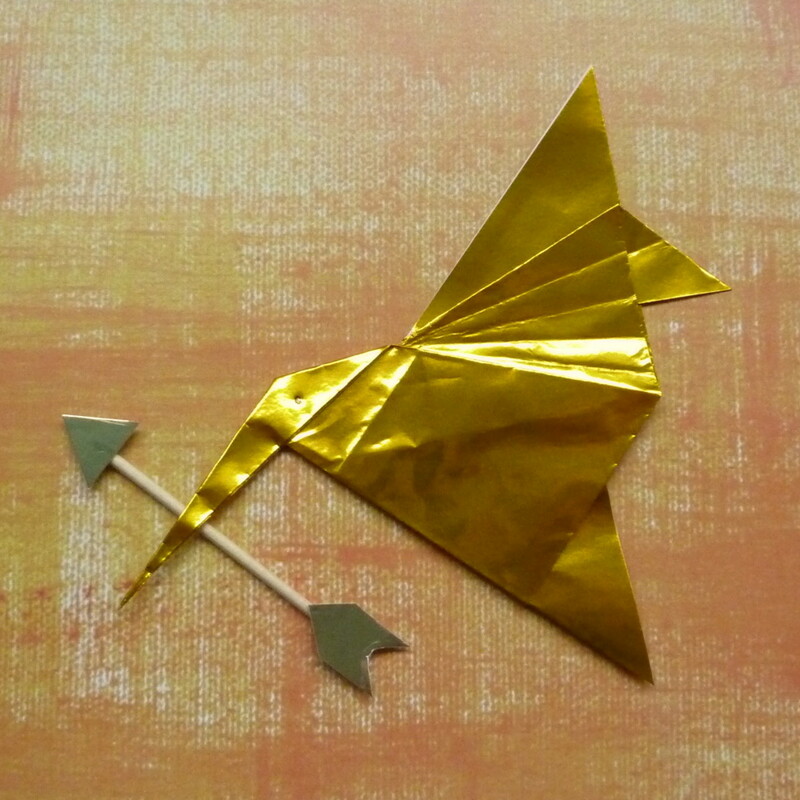 These can be made by kids easily--good fun craft tutorial for them. Thanks for sharing this creative hub. Voted up!